Glenn Wollman, MD, has always been at the leading edge of medicine. He helped pioneer the specialty of Emergency Medicine and, at the same time, also developed and ran one of the first hospital-based Integrative Medicine programs in the Unitied States. He has recently begun his new practice as a Medical Guide. In this newly specialized area of Medicine, Dr. Wollman helps people make difficult medical decisions using an integrative, holistic approach so that choices are made from the best healing methods available. Dr. Wollman assists patients in making decisions that are based on the unique medical, social, spiritual, and psychological make-up of each individual. Dr. Wollman also helps individuals obtain, maintain, and regain a balanced healthy life, addressing very specific categories learned through years of experience and working in collaboration with healers around the world. 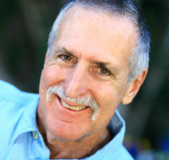 He offers a new and simple “Life Balance” Program to individuals and groups through private consultations, workshops and seminars, and is currently the Medical Director for the Santa Barbara Healing Sanctuary. He is a lecturer, musician, artist, and martial artist.